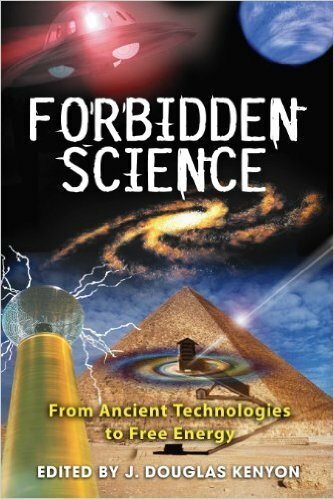 Following the model of his bestselling Forbidden History and Forbidden Religion, J. Douglas Kenyon has assembled from his bimonthly journal, Atlantis Rising, material that explores science and technology that has been suppressed by the orthodox scientific community--from the true function of the Great Pyramid and the megaliths at Nabta Playa to Immanuel Velikovsky’s astronomical insights, free energy from space, cold fusion, and Rupert Sheldrake’s research into telepathy and ESP. There is an organized war going on in science between materialistic theory and anything that could be termed spiritual or metaphysical. For example, Masaru Emoto’s research into the energetics of water, although supported by photographic evidence, has been scoffed at by mainstream science because he has asserted that humans affect their surroundings with their thoughts. The materialism or absolute skepticism of the scientific establishment is detrimental to any scientific inquiry that thinks outside the box. This mentality is interested in preserving funding for its own projects, those that will not rock the establishment. From Tesla’s discovery of alternating current to Robert Schoch’s re-dating of the Sphinx, this book serves as a compelling introduction to the true history of alternative and New Science research.